TV Commercial | The Latest @ PatrickOrtman, Inc.
We’re becoming most known for creating Fortune 100 brand films and other agency-style video productions. But that’s not all we do. Sometimes, we work to help smaller businesses get noticed. That’s what we’re doing for our friend Ed Covino’s Bes’Dam Soup brand. Ed needed a very cost-effective TV commercial for the holidays that would grab his audience’s attention. And he wanted a heavy direct response television (DRTV) vibe to it. We love a challenge, and there’s nothing like the challenge of finding ways to work with the budgets small businesses require. And, I really like helping small businesses who have a great product and want to get known. It’s the kind of work that warms your heart maybe just a little more than the typical project. Especially around the holidays. We helped Ed edit his script, and then made it happen for him in Los Angeles. Ed and his son Eddie came out to co-star in the commercial, with pro LA actors Bryna and Jenna rounding out the cast. Our goal was to create a cute and effective commercial for Ed that would look like it cost more what it did and help get Bes’Dam Soup noticed this holiday season. After a few years of good business growth, I realized that I needed to advertise Bes’Dam Soup Nationally on TV if I was ever going to have the huge expansion that I sought. I’m a creative and resourceful entrepreneur, and I’m also wise enough to know when to bring in the right experts with good chemistry between us. After researching and speaking with several TV Commercial production companies, I still didn’t feel a connection. Then I spoke with Patrick of PatrickOrtman.com. From the moment we first spoke, Patrick took the time to get to know not only my business, but to know me, my family and our story. This was vital for us to work together and envision Bes’Dam Soup’s marketing strategy. For the months that then followed, the creative chemistry between us strengthened as we developed the project. Any ideas or concerns that were brought to the table by one of us, would be completely understood by the other. Patrick has since gotten to know my wife and son, and I now consider him to be a good friend. Patrick showed patience and worked with my financial challenges to make this dream happen. Although we have become friends, this has never lessened his commitment to my project and my satisfaction as a client first. We have now completed this first of many TV commercials, and I must say that the quality of his work exceeded my expectations. Although this whole “Filming” world is new to me, I could recognize strong talent and style as Patrick worked with the actors, and setup of the entire shoot day. I even had my adult nephew there to observe, who is in “the business” with 5 Emmys; and he expressed to me that he was very impressed. That meant a lot. Patrick’s editing skills proved priceless, as he then worked with the many “takes” that he shot that day. The finished segment with graphics, audio and cinematography artwork resulted in an amazing commercial and opportunity for me to launch Bes’Dam Soup onto the National stage. I highly recommend PatrickOrtman,com for all production needs! Look for the Bes’Dam Soup holiday commercial on TV this weekend and after Thanksgiving. By the way, the soup? It’s very delicious and it makes a great holiday gift. They ship the soup frozen to lock in the flavor, and it tastes… well, like the Bes’Dam soup you’ve had. You can get some at besdamsoup.com. We’ve Been Selected: Top 5 Video Production Companies in New York! Clutch, a leading online tool to help businesses find the best creative and technical partners, has chosen PatrickOrtman, Inc. as a leading video production company in New York City for 2018. We’re listed in the Top Five Video Production Companies in the tristate area. This is a big deal for us, because we’re not like a lot of the larger video firms in New York. We’re different because we don’t try to be everything to everybody. We’re focused on providing high-end corporate videos and commercials. So, thank you Clutch. And happy 2018! Hi, Patrick here. The frequent flying back and forth between New York and Los Angeles has its perks and its pitfalls, but I know I’m super lucky to have two amazing crew families between these two fine cities. Jessica (bicoastal producer) and I really love so much about each coast, and I think being bicoastal helps our work continue to improve in interesting ways. So here’s our LA family doing what we do best- making moving pictures! We created the promotional video for the MAS NOVA running jacket. 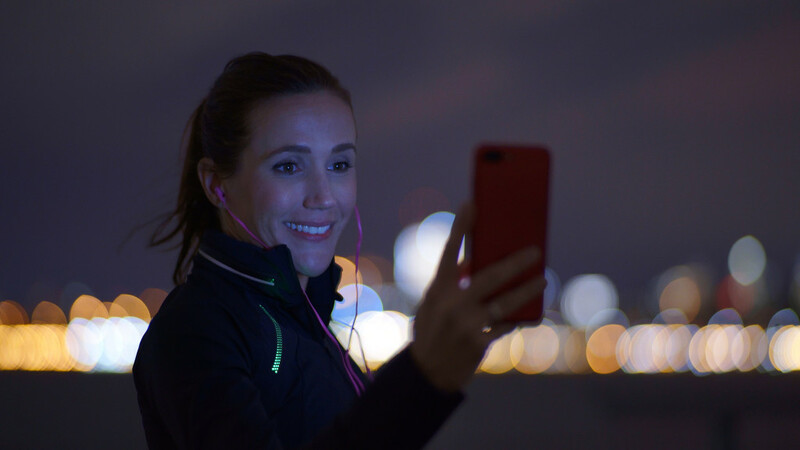 It’s the world’s first self-illuminated running jacket. We filmed this promo in both New York City and Los Angeles/Hollywood. To see the promo, head on over to our website. Until then, here’s some photos and frame grabs! 2017 has begun with a bang for us. I’m thrilled and grateful for that. But this post, even though it’s the middle of January already, is for last year. 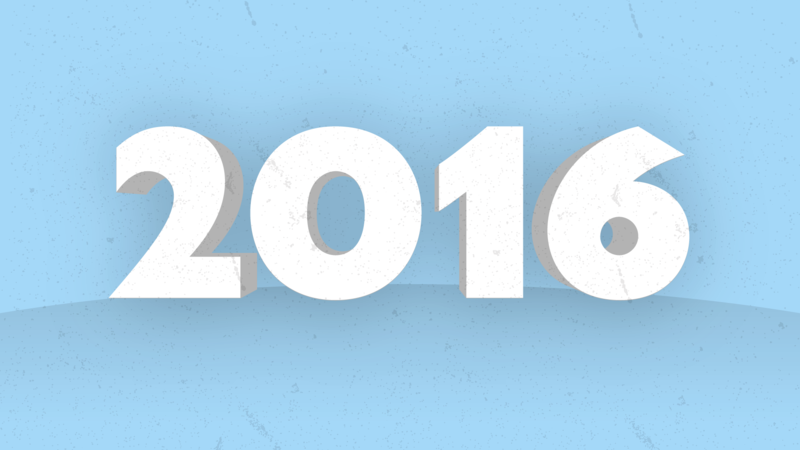 2016, I thank you for everything you gave to us. The many excellent projects, the happy clients, and even the occasional stumbling blocks- thank you. It’s all a learning experience, and I am grateful to everyone who was a part of our year. I’m really excited about the work we did for this Los Angeles client, the TV commercials turned out great in every way. And what’s best is, they’re being seen and they are working for the client’s business. Yay! They’ll be playing all over Southern California through 2017. One thing new directors and filmmakers don’t often understand is the amount of work it takes to get something that looks and feels natural and easy. The truth is, “easy” take a lot of work to get right. And I’m super-proud that we got it right. We shot these on SONY, and colored in DaVinci. For more TV and web commercials, plus our corporate work, check out our website.